“Personal injury” arises when one person suffers harm from an accident, and someone else might be legally responsible for that harm. An injury can be the result of a car, truck, motorcycle, airplane, drunk driver, or construction site accident. If you have suffered an injury due to the negligence of another, you need aggressive advocates fighting to protect your rights and ensure you receive fair compensation. 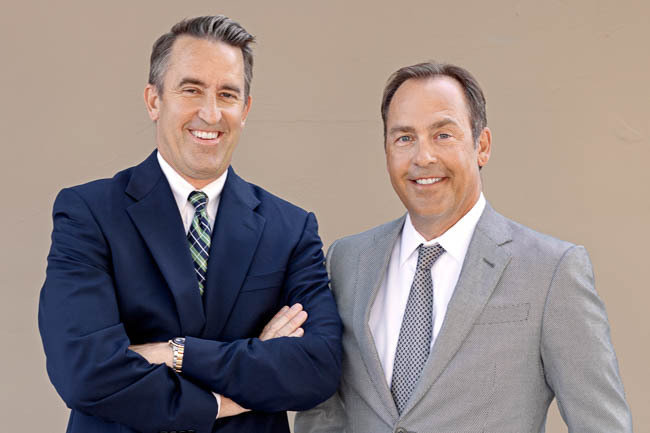 The attorneys at Rudolph & Hammond have the unique perspective of knowing how insurance companies work to deny, delay, and underpay claims. We are proud of the relationships we have built and the justice we have secured on behalf of our clients. When individuals are killed or seriously injured, families face not only emotional but also financial wounds. If the person killed was the family’s primary breadwinner, families may find themselves having trouble paying rent and bills. Some of these families face months, even years of difficult recovery. A loved one’s life may be altered forever by the accident, and the individual may not be able to work. For every accident, there are one or more victims and their families affected by that accident. For these victims and their families, the damages are personal. The accident attorneys at the law firm of Rudolph & Hammond offer compassionate counsel to victims and their loved ones. The aftermath of an accident can be difficult and confusing; We offer advice and counsel and help you receive the justice you deserve. If you have been in an auto accident, let Rudolph & Hammond help you recover the damages to which you are entitled. We advocate for our clients every step of the way – from helping them understand all aspects of the damages to which they and their family members are entitled under law, to thoroughly investigating all aspects of the accident, to taking depositions, and seeking experts when necessary to prove their case. Having served on both sides of injury cases, we understand the process when insurance companies are involved. Airplane and helicopter accidents are rare – but when they occur the results can be devastating. Aviation accidents happen with both large and small aircraft and are often the result of faulty equipment, mechanical failure, or pilot error. Aviation accidents require a very thorough investigation of the accident site in order to determine the factors involved in causing the crash. In many instances, multiple factors may be involved, including equipment failure and pilot error. Construction site accidents can be severe and sometimes deadly. Working with tools, building equipment, and heavy machinery can often times result in severe physical injuries such as broken bones, lacerations, head injuries, electrocution, and even death. We represent those injured in construction accidents in Phoenix, Scottsdale, and the surrounding metropolitan area. We investigate construction accidents so that those responsible can be held fully accountable. Every year drunk drivers recklessly take to the roads and seriously injure and kill thousands of innocent people in alcohol-related automobile accidents. The selfish actions on the part of a drunk driver not only seriously impacts the lives of those involved in the accident but also their families as well. Arizona and the Phoenix and Scottsdale areas are not immune from the actions of drunk drivers. While we can’t make the physical and emotional effects of the accident go away, we will fight hard to get you and your family the compensation you deserve. Each year thousands of Americans are injured or killed in motorcycle accidents caused by reckless or inattentive motorists. Many of these are injured or killed in Scottsdale and the Phoenix area. The injuries from these accidents can range from broken bones, loss of a limb, paralysis, or even death. We take the time to thoroughly investigate all aspects of the motorcycle accident so that fault can be determined, and the injured person (and in the case of a wrongful death, the victim’s family) can get the compensation that is deserved. While many truck drivers and trucking companies follow federal regulations, sadly, many others fail to take the precautions required to protect innocent drivers on the road.Accidents involving large, trailer-pulling trucks are more complicated and involved than typical auto accidents. Understanding the common reasons for trucking accidents and the relationships between the people and companies connected to the truck, the trailer, and the load will help to determine whether there is a valid claim and which party is responsible for your injury. Call 480-951-9700 and let us answer your questions and help with any concerns you may have about your specific case. Kent Hammond and his team are without a doubt a class act and go above and beyond for their clients. Our son was in a car accident last year….no fault by him but nonetheless he was injured, his brand new car he had just started making payments on was a crushed can and we had an adult son hit panic mode very quick! Kent fought for his rights, eased some of the pain, got his medical bills covered as well as his rental car for the many weeks his car was in the shop, got all damages to his car 100% taken care of AND got him money in his pocket for pain and future medical care. Thank you from The Keckler Family for your dedication to your clients and making sure they receive the best possible outcome. It’s not just Personal Injury. It’s Personal.